Razer always loves to unveil something unexpected at CES 2018. Last year it was the fantastic triple-screened Project Valerie laptop and a “room scale” projector going by the name of Project Ariana. 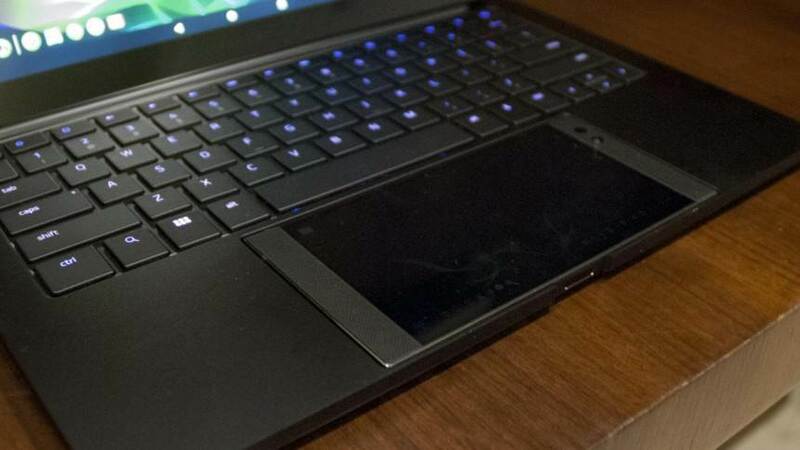 This year, you can say hello to Project Linda, a laptop powered entirely by the Razer Phone. Unlike the two stolen prototypes from CES 2017, Project Linda is a dumb device. Designed in the form of a 13.3in laptop that looks uncannily like the Razer Blade, Project Linda is little more than an aluminium case with a screen. Drop your phone into the space where the touchpad is normally located, hit the dock button on Project Linda’s keyboard and, voila, you have an Android-powered laptop ready for light productivity and gaming on the go. As a concept, turning your Android phone into a computer is nothing new. Samsung DeX turns the Samsung Galaxy S8 and Note 8 into a workable computer already and there are various dongles and apps that can connect a phone to a computer monitor. Also, remember the Motorola Atrix Lapdock? That purported to do the same thing, though it was plagued by performance issues and it isn’t as elegantly realised as this. The most interesting aspect of Project Linda is how it puts the Razer Phone to use. Although it’s a lot more powerful than the Atrix was, powered by an eight-core Qualcomm Snapdragon 835 processor and 8GB of RAM, the phone isn’t only used to power Project Linda; it’s also a fundamental part of a clever dual-screen design. By default, the Razer Phone’s touchscreen acts as a trackpad but if you connect a wireless mouse it becomes a second screen, used for menu information or extra stats in certain games and apps. 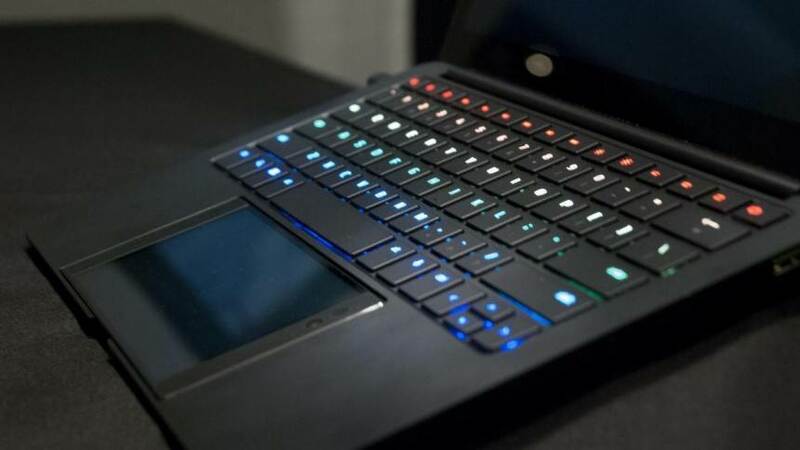 At the moment, in the early prototype stage, it simply mirrors what’s being shown on the display, but it’s clear Razer sees a lot of potential in further exploring the idea of a phone-powered laptop. Razer won’t go into specifics around Project Linda’s internals, but we do know it has enough battery to fully charge the Razer Phone three times over, and should last you nearly all day if used like a laptop. You’ll also find 200GB of extra storage which Razer sees as either being used as an offline backup of your phone’s memory, or as a way to offload larger video and image files, or for apps that only need to be used with the phone docked. Project Linda also has Razer’s iconic Chroma backlighting for the keybard, an audio jack, a USB port and a USB Type-C charging port. There’s also a 720p webcam and dual-array microphone embedded just above the Full HD display, while audio comes direct from the Razer Phone’s impressive speakers. Although Razer says it’s going to optimise audio output when docked, it already sounds pretty solid as a means of delivering laptop-quality sound. Razer has plans to keep advancing Project Linda, too. The current prototype has a Full HD screen but the plan is to include a QHD, 120Hz display – an exact mirror of the Razer Phone’s screen. As with all prototypes, Razer isn’t discussing possible release dates or price points just yet. Seeing as it offers offline storage, a power bank, a keyboard and laptop screen, I can’t foresee this being a cheap product, not that Razer produces low-cost devices anyway. There’s also a relatively small market for such a device as there can’t be all that many Razer Phone owners out there, but as a concept, I think it’s absolutely incredible. Hopefully, it’ll spur other manufacturers to start thinking about their phones in a similar way, especially as – for a lot of people – a smartphone is their only connection to the internet. Previous "We could be the biggest game in the western world"